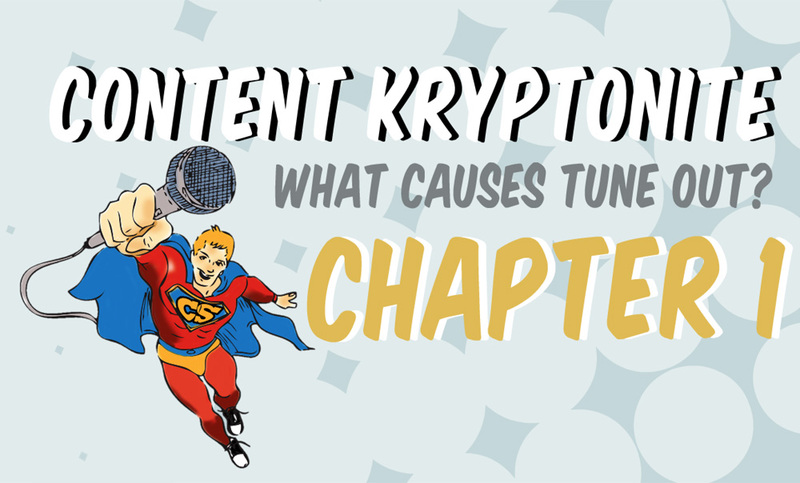 Content Kryptonite – What Causes Tune Out? The radio industry agrees that Content is King. But what does that mean? Nobody has defined it. Our series of three training clinics is based on research conducted by Strategic Radio Systems (SRS). With hundreds of research projects and tens of thousands of listeners, you’ll get a clear, specific and actionable set of discoveries that will change your approach to personality radio. It’s the ultimate blend of art meeting science. Content Kryptonite: What Causes Tune Out. The fastest way to increase ratings is to reduce tune-out. We’ll show you six things that send listseners racing for the scan button. You’re probably guilty of at least three of them. You’ll see actual listeners reacting to content, revealing the exact moments that cause a personality break to go from great to poor. Management: Does your team understand what drives listeners away? Now there’s conclusive data that you can use to direct your company, cluster and staff. Personalities: Listeners are brutal, and they are quick to tune out for other options. We’ll show you when you’d be better off playing another song or moving on. It’s a wake up call for some, exciting for others. About the series: The research conducted covers all critical demographics (male and female, ages 15-54) and applies to all formats, music oriented and spoken word. The research was conducted across multiple countries and cultures. Watch Now: Content Kryptonite – What Causes Tune Out? Six specific elements that cause listeners to tune out…and what to do about it. Why listeners are confused, and how that holds you back. How to capture attention-and why you lose it. The danger of multi-break content. They don’t listen for long periods. You know that, but what does that really mean for personalities? What happens when a break bogs down in too much detail? You’ll be shocked at how quickly you lose attention once you have it. Multiple voices on the radio: When does it work against you? Sharing content from your personal life-A good thing or a bad thing?